You are here: Home › Action › Gardens › nature › Create your own Pollinator Garden in any space–we’ll tell you how. It was time to create a pollinator garden in City Park. The park consists of botanic gardens, historical landmarks, and an area of indigenous evergreen forest, but most of the gardens are of exotic flowering plants. 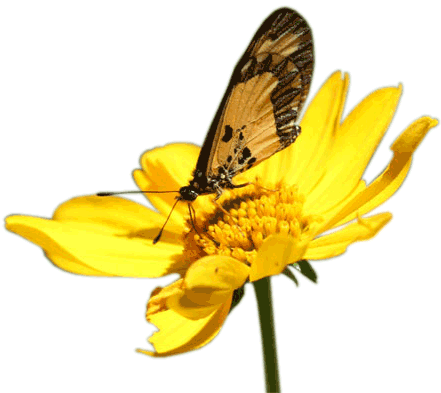 A pollinator garden would be important to: • contribute to the biological well being of the park, • reintroduce Nairobi residents to local flowering plants, and • provide visitors, the opportunity to learn about pollinators. Acraea butterfly. Photo by Dino Martins. Your action can greatly help to keep nature near at hand, protect the diversity of local pollinators, and offer you hours of pleasure from visiting birds, bees, butterflies and other plant visitors. Here are the steps we took that can help you to create your own pollinator garden. The site: You don’t need a large area—a pot or small flowerbed will do, it depends on what you want to plant to attract pollinators. Our site at City Park was chosen, largely due to the protection it offered from numerous Sykes monkeys and its proximity to water. Site preparation: Check to see the type of soil you have—is it well drained, does it need loosening up, or weeding? At City Park there wasn’t much soil at the site, being mostly gravel we decided to bring in fresh soil and manure. Planting: Plants Galore (plantsgalore.co.ke) donated a diversity of local plants and spent time helping to plant them. We set them far enough apart to allow for growth, and planted each with a scoop of compost. You’ll want to do the same. Mulching: Don’t leave soil bare to dry out or as space for weeds to grow. Park staff were very helpful, bringing in and spreading leaf debris between the plants that they had swept up. Section of Pollinator garden. Photo by cngarachu. Some of the flowers planted were Plumbago–profuse blue flowers, Crossandra or firecracker flower–grows low with apricot petals, Heliotropium–quick-growing, scented, purple flower clusters, Whitfieldia–herbaceous, sprays of white flowers, Ocimum–aromatic shrub, purple sprays, Carissa edulis–scented small shrub or tree. 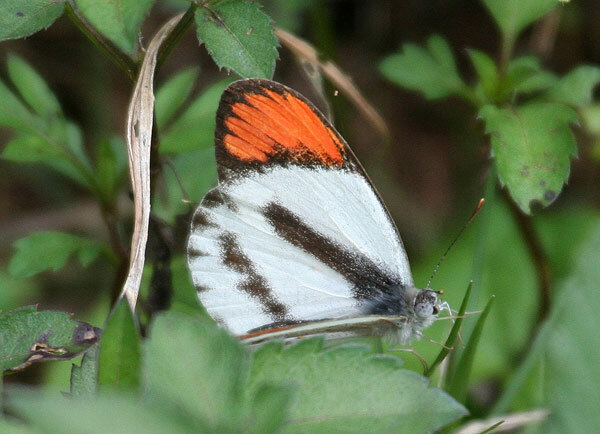 Bushveldt Orange-tip Butterfly. Photo by P. Usher. 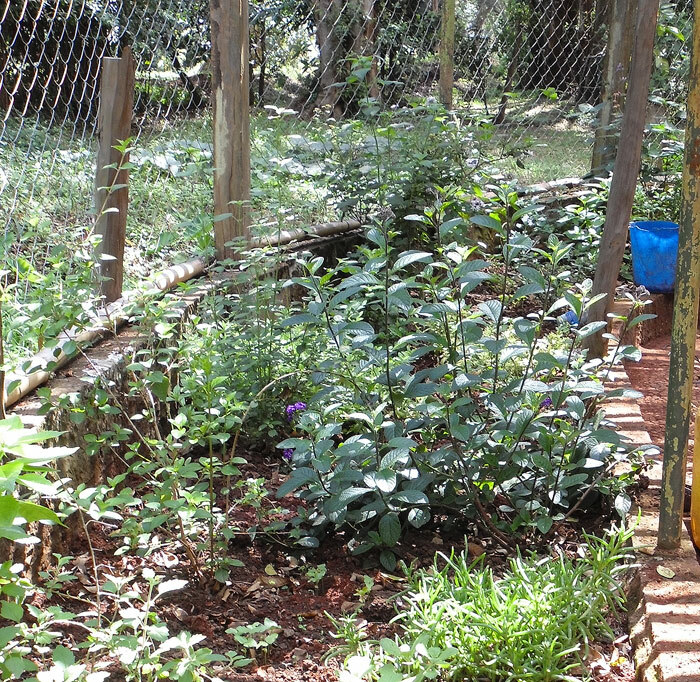 This garden project includes a small butterfly house and was undertaken with the kind permission of Nairobi City County. Many thanks also to Friends of City Park, Nature Kenya Youth committee, County staff, Plants Galore, and Rufford Foundation—we are very grateful to all for their support. This article was first produced in the Kenya Birding magazine issue 8. Let us know if you have any questions, use the comment boxes here below.